The Caribbean Community (CARICOM) Secretariat has invited Belize's, Mr. Musa Shaheed to serve as a Member of the Interim Festival Directorate (IFD) for CARIFESTA and to attend the Seventeenth Meeting of the IFD, which will be held in Trinidad and Tobago on 25th to 26th March. The Caribbean Festival of Arts (CARIFESTA) which is the region’s largest, roving multi-disciplinary arts and culture festival, is intended to celebrate diversity and excellence in the arts in the Caribbean, to foster a vision of Caribbean unity and to positively advance Caribbean culture regionally, throughout the diaspora and the world. The next edition of the Festival, CARIFESTA XIV, will be held in Trinidad and Tobago from 16-25 August, 2019 under the theme “The Tangible and Intangible – Connect. Share. Invest”. Musa Abdul Shaheed is a 24 year old percussionist, facilitator and teacher. He has dedicated his life to the growth and awareness of the Kriol Culture by passing on traditions through the artful skill of drumming and drum making. He engages students both young and old to ensure the preservation of the culture. Musa in his 15 years as a musician has also toured nationally and internationally representing Belize with the Drums not Guns Project, Street Art Festival, the Brukdong Bram, The Belize International Jazz Festival, the New Orleans Jazz Festival, Peten festival and the Mexico Tour. This trailblazer in his own right advocates and believes in the power of music to ignite social change and foster social cohesion especially in inner-city areas. He exudes such passion for music ranging from his skills with the drumset, to our very own Sambai and even West African rhythms of Kuku and Danash. 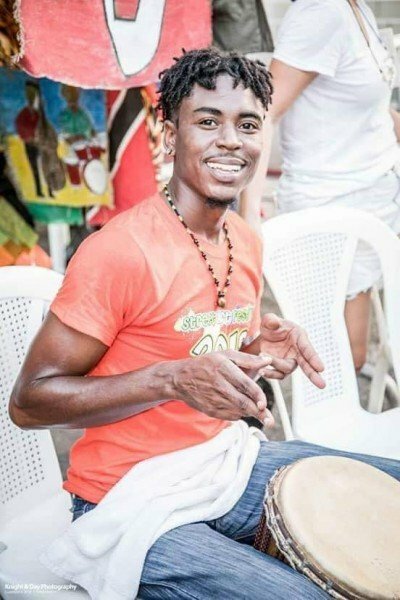 He now teaches drumming classes and belt weaving at the Liberty Hall in Belize City at the Sankofa Heritage School. Mr. Shaheed has accepted the invitation to serve on the the CARIFESTA Interim Festival Directorate (IFD) fully recognizing the honour, privilege and great responsibility of representing young talent in the Caribbean and the country of Belize. The IFD was established in 2006 as the regional advisory body to CARIFESTA and provides strategic direction and oversight of the Festival in collaboration with the CARICOM Secretariat and the Host Country. The IFD has selected Mr. Shaheed as the 'Young Artist' to serve as a Member of the IFD for a period of four (4) years or two editions of the Festival (whichever comes first). 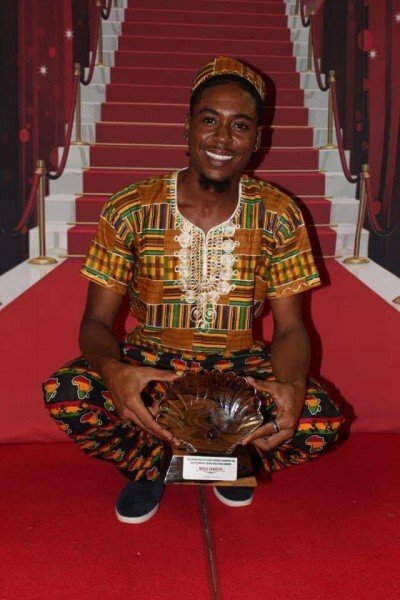 The IFD is of the view that he will be a valuable contribution to the regional advisory body of CARIFESTA, based on his active involvement in culture and the arts and his outstanding talent in drumming. Mr.Shaheed's highly commendable work as a youth leader and in teaching drumming to other young people, including at-risk youth, was a contributing factor in his being recognized and invited to be a part of the Directorate. The IFD has expressed optimism in Mr. Shaheed's representation of the voice of young artists in the planning and management of CARIFESTA. The National Institute of Culture and History (NICH) takes this opportunity to congratulate you on your nomination and acceptance to the IFD.